Welcome to Fifth Third Ballpark! Fifth Third Ballpark has been a part of the West Michigan community and home to the West Michigan Whitecaps Minor League Baseball Team since 1994. In recent years, the 10,000 seat facility has become an entertainment destination for anything from a business meeting for 20 to a full-scale company picnic for 8,000. 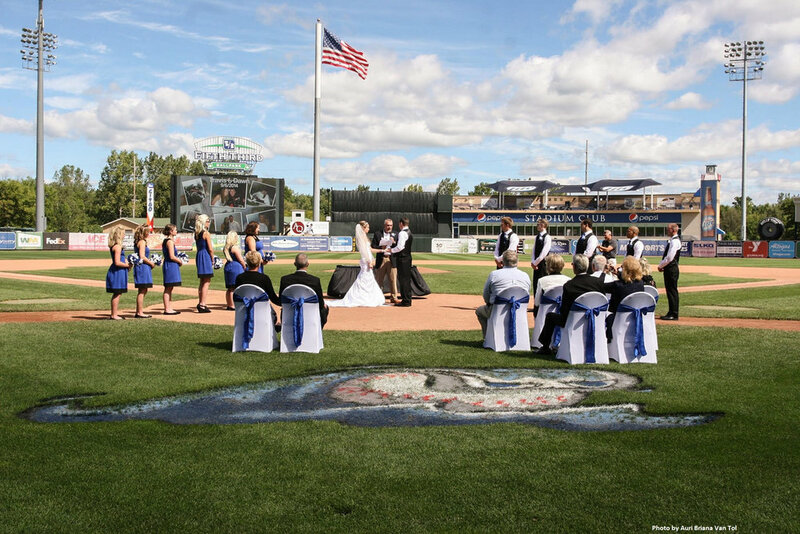 Being West Michigan's largest outdoor stadium it plays host to almost 200 events year-round including company picnics, meetings, trade shows, high school baseball and football games, car and RV shows, festivals, concerts, weddings and West Michigan Whitecaps home games. Easily accessible off US 131 located on the banks of the Grand River, Fifth Third Ballpark is that unique location you’ve been looking for your next event. Contact one of our dedicated event professionals to find you how to make a “major league” impression on a “minor league” budget!